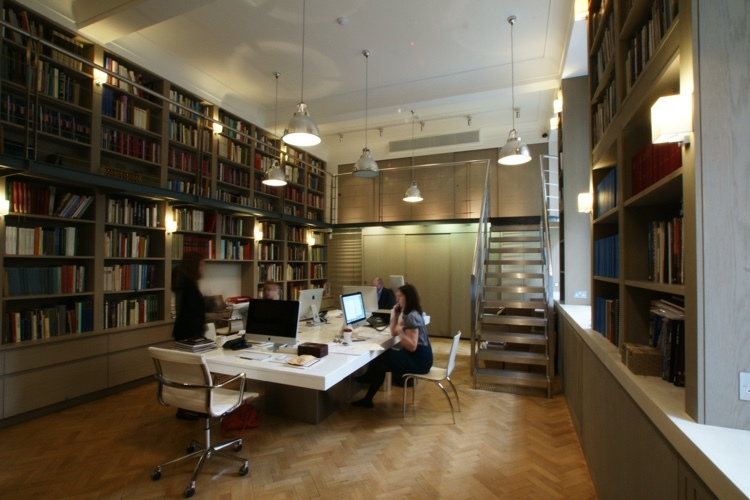 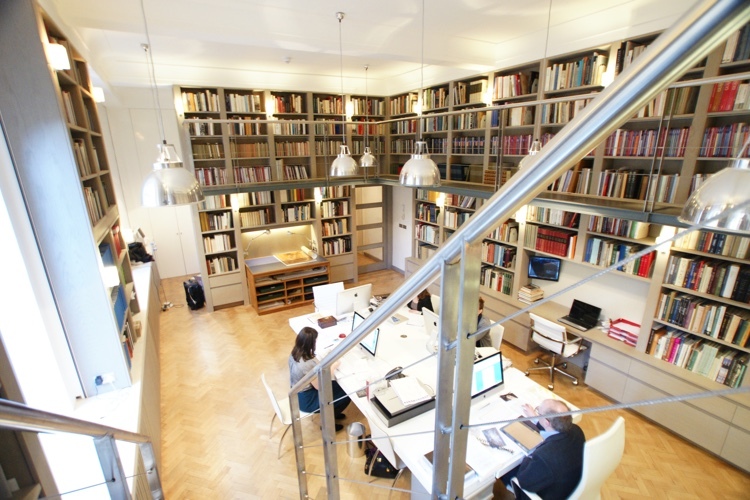 Refurbishment and fit-out of an existing commercial unit to accommodate an extended gallery and library/office space. 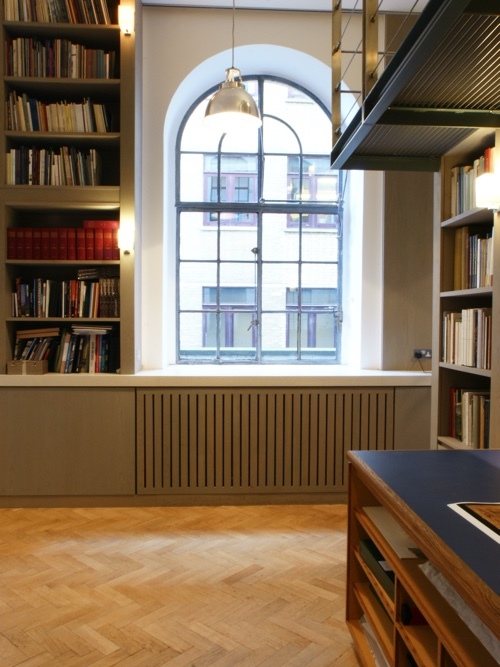 Working with Abbie De Bunsen Design we developed a scheme which met the client's aspiration to create simple yet elegant, refined spaces in which would work as an office and be capable of hosting exhibitions. 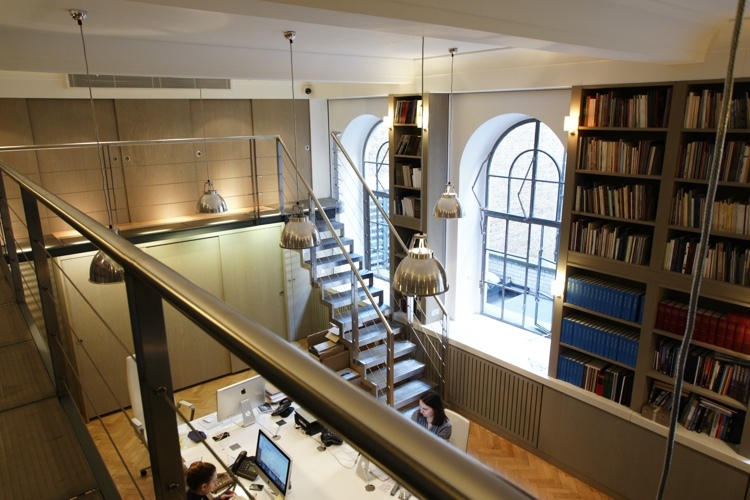 The office bookcases with raised walkway are a modern interpretation of a the traditional library aesthetic, whilst maximising storage for books and pictures.